You’ll be enchanted with this program and you may even want to learn more about painting. This is a wonderful opportunity to experience an informative and entertaining program for any sized group. 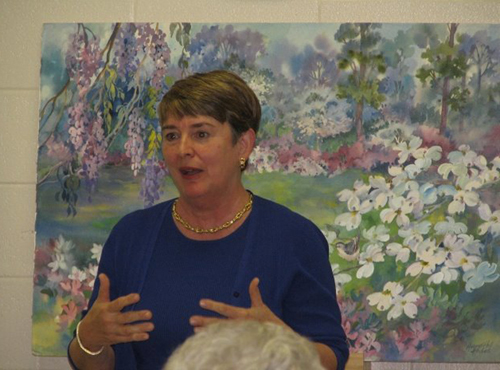 Margaret has spoken internationally and locally for civic groups, museums and conventions. 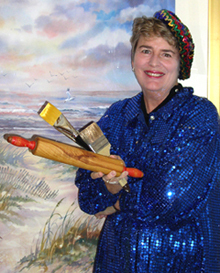 This unique presentation combines Margaret's watercolor painting demonstration with her insightful, humorous anecdotes about being an artist in the real world of children, pets and car pools. Available for your next group meeting or event. Contact Margaret by phone: 1-800-HOYBACH, or by email: MargaretHoybach@sc.rr.com.